Brought to you by the creators of the cult hit "Father, Father. Father! ", Robaby Productions proudly presents KIDCASINO! This award-winning team take you on a surreal and satirical exploration of the underbelly of Casino Culture, the obsession with winning and the endless indulgence of compulsive gambling. Described by The Critter as a ‘glitter horror show’, this dark comedy promises to entertain, entice and unnerve. 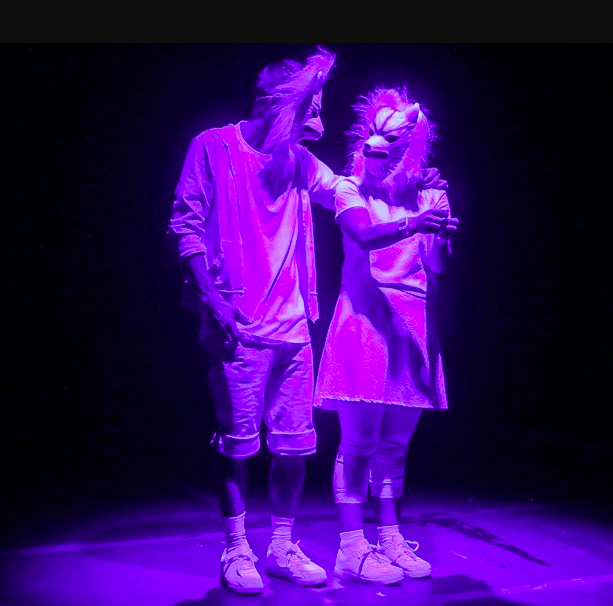 Directed by theatre veteran Toni Morkel, staring Roberto Pombo and Joni Barnard, with lighting design and dramaturgy by Jemma Kahn, KIDCASINO follows two kids as they run free in Sun Star Casino's Arcade. Left to their own devices while their mother risks it all at the slot machines, these siblings indulge in tokens, tickets, chewing gum, soda, fast food, flashing lights and endless promises of prizes. Welcome to Sun Star Casino, where you play big to win big! “...superb performances by the cast of two, Roberto Pombo and Joni Barnard. They expend enough energy to light up a small Eastern Cape Dorp” - Keith Millar, Artsmart. 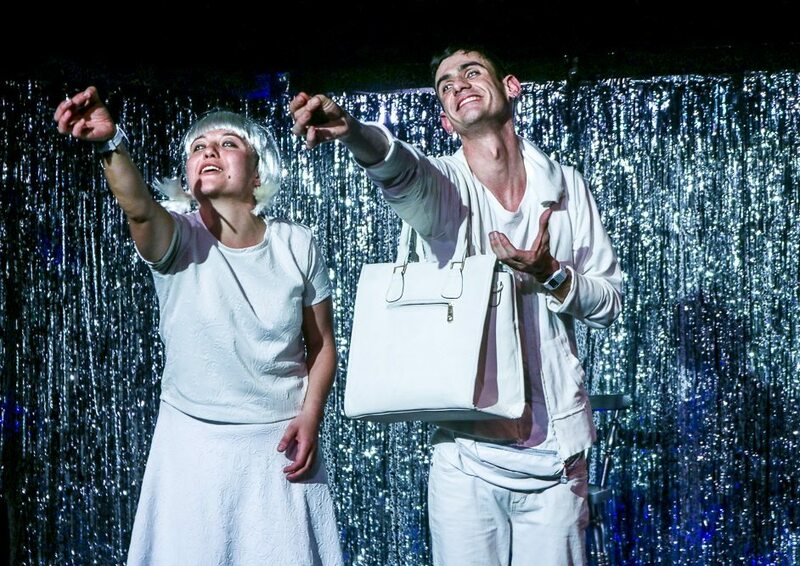 "Barnard and Pombo are simply marvellous as the brother and sister who cavort around the casino, also taking on other roles such as the kids' mother or a floor cashier as the play demands. 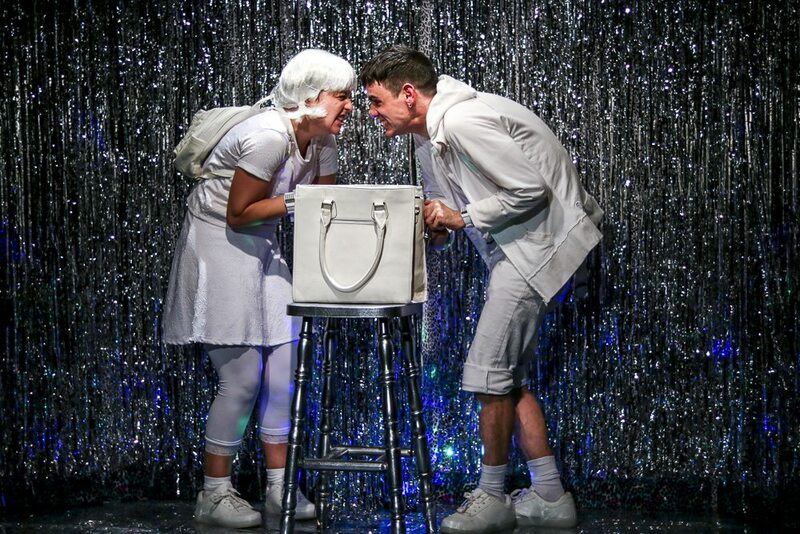 They are a radiant onstage pairing, with many astonishing ideas about how to transform even the simplest of interactions into physical comedy gold."